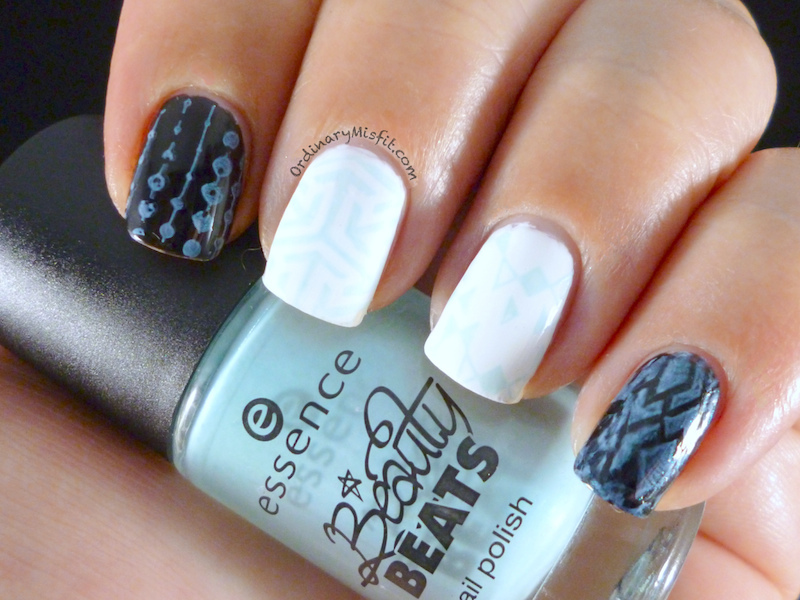 I decided to use the 4 Essence polishes from the Beauty Beats collection that I showed you yesterday. Essence – Baby, Baby, Ooh! Baby, Baby ooh what a let down. Even though you can see the stamping quite well colour wise, the stamping was a little patchy and not crisp and clean. I might just be spoilt for choice because of all the great polishes I have used lately. It does stamp though so it isn’t all lost. 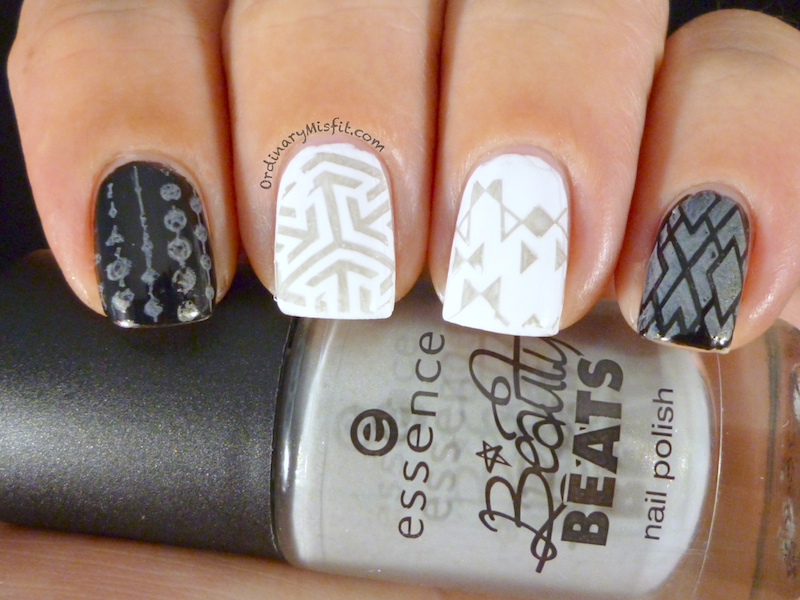 You just might not get clear and crisp stamping. The image over my pinky seems to be the best quality wise. The colour shows up well on the white and kinda ok on the black. First of all I need to apologise for the bad stamping. I had a hard time seeing the polish on the stamper because it is so similar in colour. My middle finger especially seems to have been a major fail. That being that, the polish itself doesn’t stamp too badly. It’s not the best but it’s a little better than the previous one. It does show up fairly well over the black and the white. 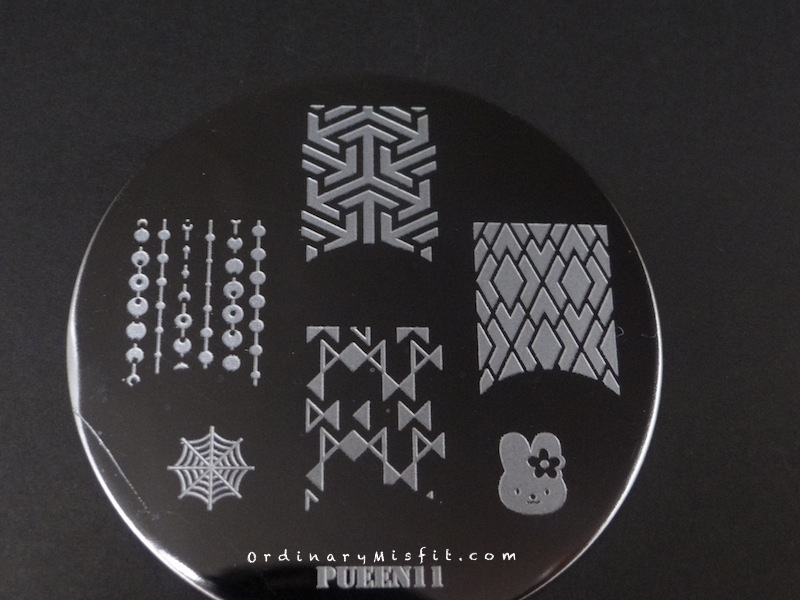 I am not sure if I will use this one again just because it was so difficult to see on the stamper. 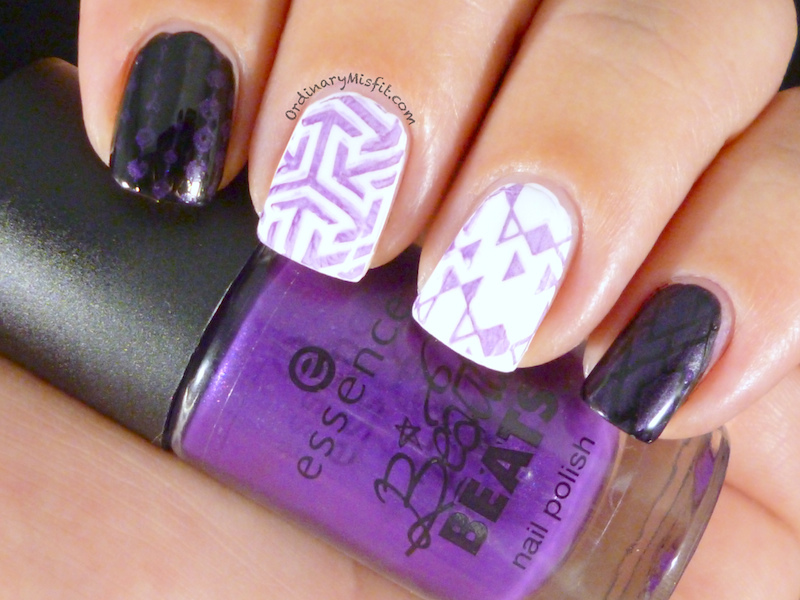 This one was a great stamper even though I messed it up on my pinky. It is absolutely all me and not the polish. 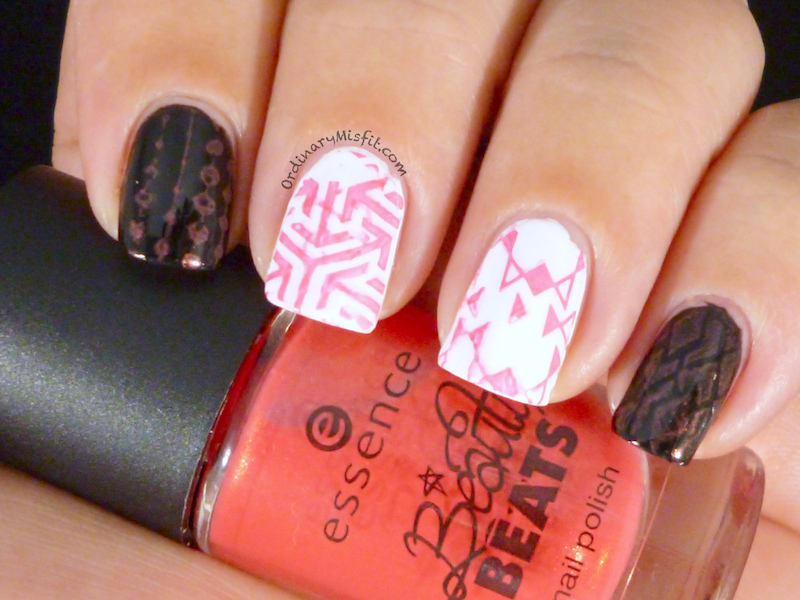 I was actually stamping this while recording a video on how I stamp. It shows up beautifully on the black and stamps quite crisp and clear as well. On the photo it doesn’t look very clear on the white but it is a little more clear in real life. It’s a winner in my book! Whooooo! Video! I like it M! You should seriously do more! Awesome post as always! Also, I might’ve been singing along with the song in the end!